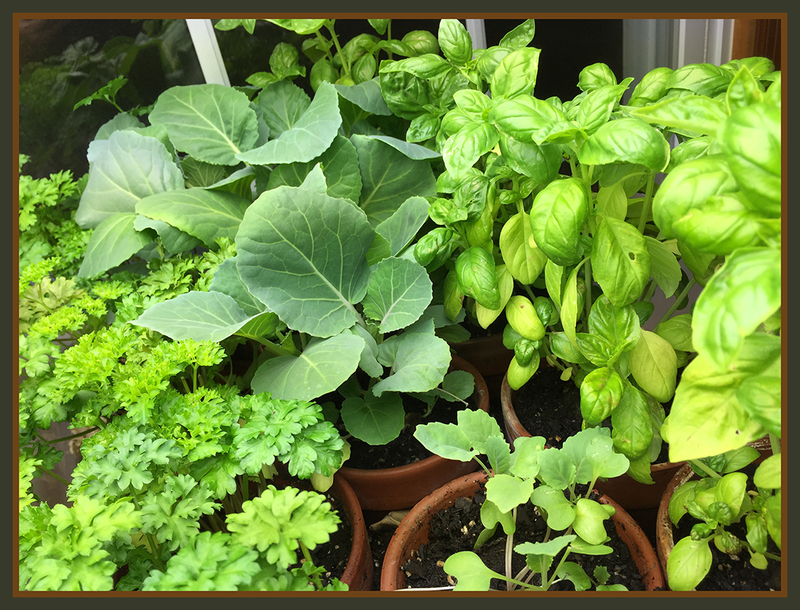 The thought of going all winter without fresh pesto and other greens was my motivation to set up for indoor gardening. I purchased some lights and set about to give it a try. There were some challenges and setbacks, searches made, and solutions found. I'm sure there will be more ahead. I have two growing areas at this time. A nursery at my bedroom window where the babies get direct southern light most of the day. I cover them at night to keep them warm. The main area is in my studio. 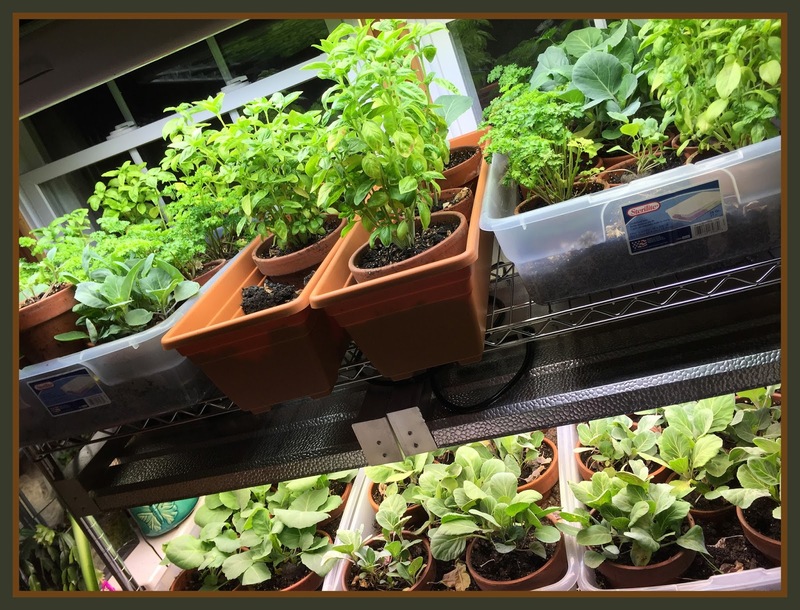 I have two shelves of plants on a chrome shelving unit under lights. The upper 4' light has 8 bulbs and the lower one has 2 -24"/12 bulb lights. I am researching Bokachi composting and will write more about that as soon as I get under way with it. 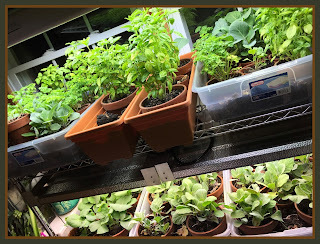 There is lots of info on my Farm/Garden board on Pinterest.